Welcome to the www.covingtonfabric.com website. The website is owned and operated by Covington Fabric & Design, LLC. By accessing the www.covingtonfabric.com website you agree to the following terms. If you do not agree to the following terms, please note that you are not allowed to use the site. The contents of this website are intended solely for personal, non commercial use and are displayed solely for the purpose of promoting our products and services. You are permitted to download or print pages from the website as a record of your visit provided you do not reproduce or publish, transmit, distribute, display, modify or otherwise exploit any such material without prior approval of Covington Fabric & Design, LLC. All content included on this website (including, but not limited to, logos, images, photos, designs, graphics and text) is the property of Covington Fabric & Design, LLC and as such is protected by UK and international copyright and other intellectual property laws. 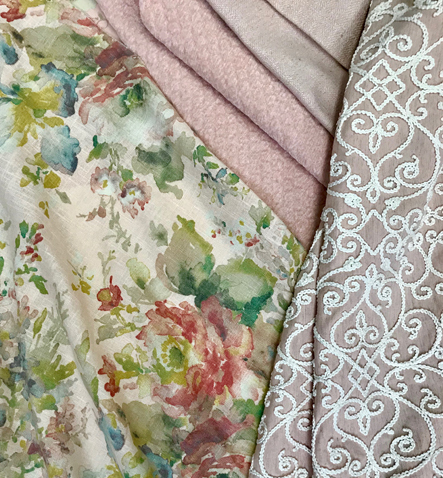 Any unauthorized reproduction or copying of the products or images featured on this website and belonging to Covington Fabric & Design, LLC may result in legal action. While we take all reasonable efforts to ensure information provided on our website is accurate, in particular the product detail and description, all material displayed is provided by way of information only, and you should verify the product with your local sales representative. Covington Fabric & Design, LLC respects the privacy of its customers and website users. Your information will not be disclosed to any third parties, except associated companies within our organization, unless we are required to do so by law. While we take all reasonable steps to ensure this website is free from viruses or defects, we cannot guarantee against harmful attacks, and we do not accept liability for any possible viruses. It is your responsibility to ensure appropriate safeguards are in place before downloading any information from this website. Covington Fabric & Design, LLC will not be liable to any person for any loss or damage which may occur to computer equipment as a result of using this website.